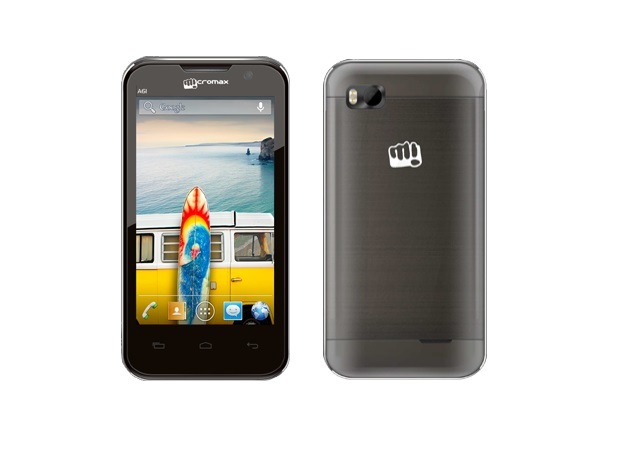 Micromax has introduced another budget smartphone with entry level specs, the Bolt A61. The A 61 would not be for you if you are performance lover. The handset would be good for beginners, but i honestly don’t recommend this. The handset comes with 4inch display and is powered by 1GHz CPU. The BoltA61 has 4-inch display with 480 x 800 pixels resolution, DUAL SIM support and it gains the power from 1.0GHz Spreadtrum SC7710 processor. The handset runs on Android v4.1 Jelly bean OS and packs with 2MP primary shooter and a VGA front camera. The A61 Bolt features 3G, WiFi 802.11 b/g/n, Bluetooth 2.1 + EDR and micro USB connectivity. To boost the device there is 256MB RAM and has 512MB ROM out of which 135MB is available for user, although you can expand the memory via micro SD card up to 16GB. The Micromax Bolt A61 has 1500 mAh battery to make the device alive. The handset lacks GPS, it is better to go for A54 Ninja 3.5 (unboxing). The handset would be good for those, who want to use 3G,WiFi hotspot and for making voice calls. The Price of A61 is not known yet, but it would be priced under RS4500.